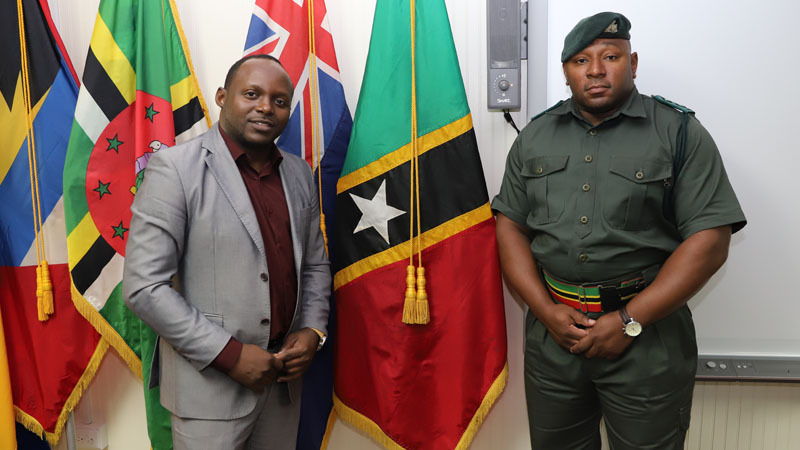 The Federation of St Kitts and Nevis joins participants from six Caribbean States on a United Kingdom-funded Humanitarian Assistance and Disaster Relief (HADR) training course, held during the period of 25th February to 8th March at the Headquarters of the Barbados Defence Force (BDF). 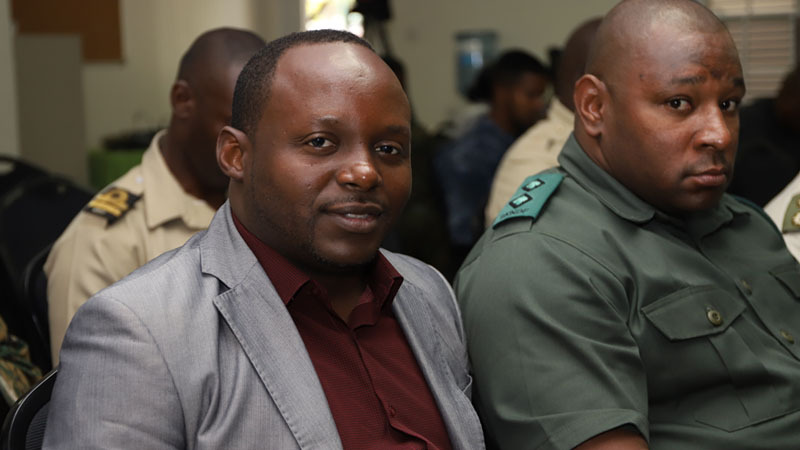 Lieutenant G. K. Connor of the St Kitts Nevis Force and Mr. Jacob Ngumbah, from the Nevis Disaster Management office represented the Federation. 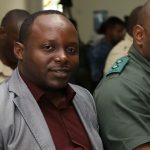 This UK-funded training workshop aims to provide a unique opportunity for disaster representatives to a joint military and civilian counterparts from CDEMA’s Regional Response Mechanism and other stakeholders, to explore ways to contribute towards regional efforts at building resilience amongst the Caribbean Islands. 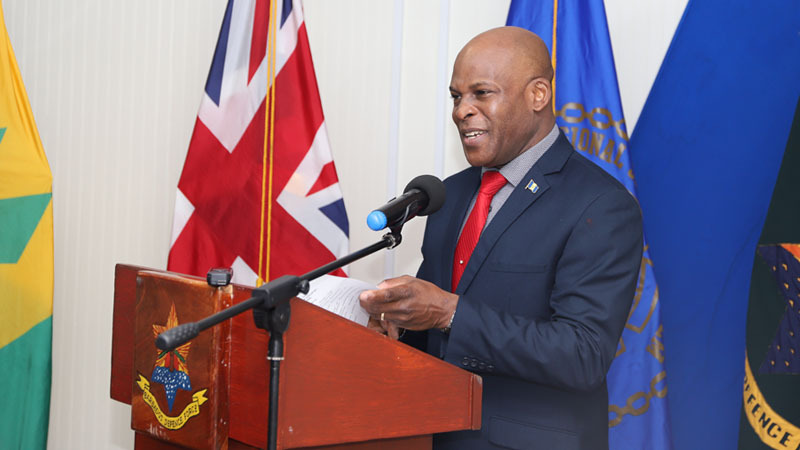 In his remarks, the Minister of Home Affairs in Barbados, Hon. Edmund G. Hinkson acknowledged the seriousness of the workshop as he stated, “Your presence here today therefore reflects your respective country’s understanding of the importance of continuously reviewing and where necessarily improving the various disaster management strategies of our countries”. 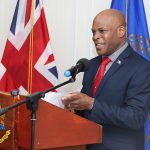 He further assured his support to position Barbados in the state of readiness when he said, “I have in this vein requested the department of management under my ministry to ensure that it has in its possession all the necessary emergency items and supply ready for June and the following months and all equipment in their satisfactory working conditions”. 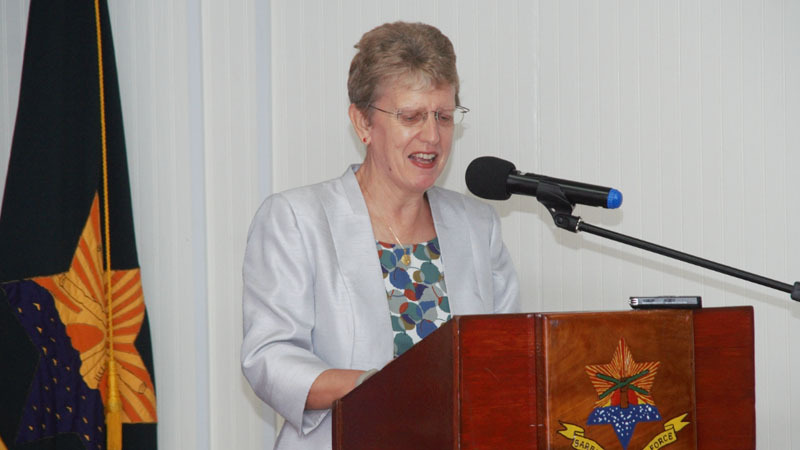 The British High Commissioner, Mrs. Janet Douglas, in her remarks affirms the fact that effective day-today coordination and contacts of nation’s ministries and agencies provides a bed-rock upon which disaster risk reduction can be built. She also added that they provide the umbrella of policies and systems of accountabilities within which regional and local efforts can be established from the deeds measured. 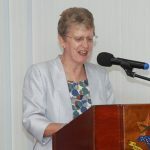 On an affirmative tone, she stipulated that the role of disaster management agencies is not to replace the activities of governance but rather to support and coordinate their effort at the highest effort level of decision making in order to reduce the risk of natural, man-made and intentional disasters. 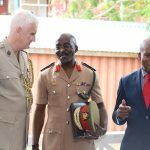 Remarks were also made by the UK Defence Advisor, Lieutenant Colonel A. Gash, and a welcome remark from Barbados Defence Force Chief of Staff, Colonel G. Grannum. Senior Chaplain of Barbados Defence Force, Rev. H. Standiford rendered the invocation prayer and Major Joel Greenidge, HADR Course Coordinator chaired the ceremony. 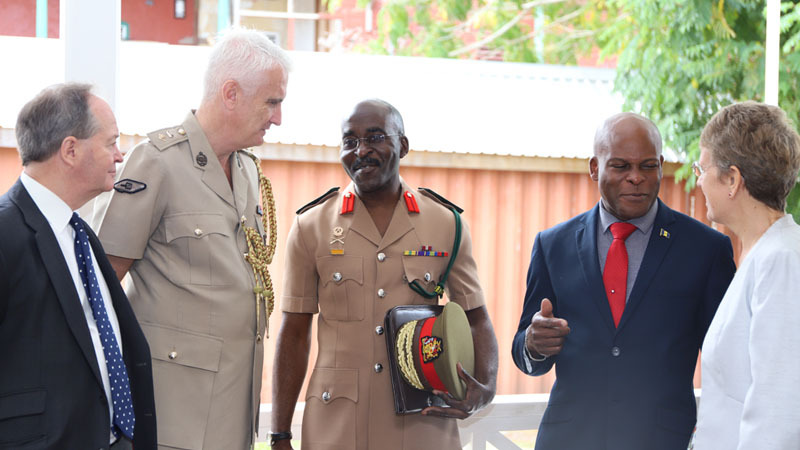 The two-week course is one out of three similar courses being run regionally by the UK Ministry organized by the British Defence Force Attache for the Caribbean in early 2019. The workshop is facilitated by Bournemouth University Disaster Management Centre (BUDMC), supported by international and regional subject matter experts.